2nd Andros on Foot Festival coming up ! Lush green valleys, flowing rivers, beautiful beaches and ancient pathways. Andros is an island full of surprises. Let us share this undiscovered jewel of the Aegean with you. Andros Routes was formed by a group of volunteers who love the island, its culture, history and beautiful landscape. Our aim is to develop sustainable tourism on the island by restoring and maintaining the ancient network of paths for hiking. Since 2012 we have restored and signposted over 160km of paths including the Andros Route, a 100km continuous path across the length of the island. 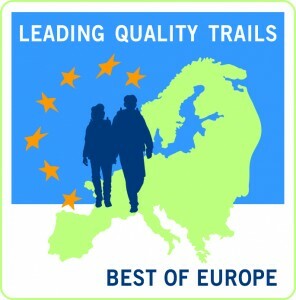 In 2015 we were the first island in Europe to be recognised by the European Ramblers Association and the Andros Route was certified as one of the Leading Quality Trails – Best of Europe.